One Page Rules has the latest version of the 40k rules posted up on their website. While nothing major has been changed, there were a lot of little tweaks to various rules, as well as some layout changes in order to make the game play and read more smoothly. A few examples of rules changes are: overwatch has been removed, vehicles are more mobile, and Common Psychic Powers have been removed. Check out the latest version (for free, as always) on their website. 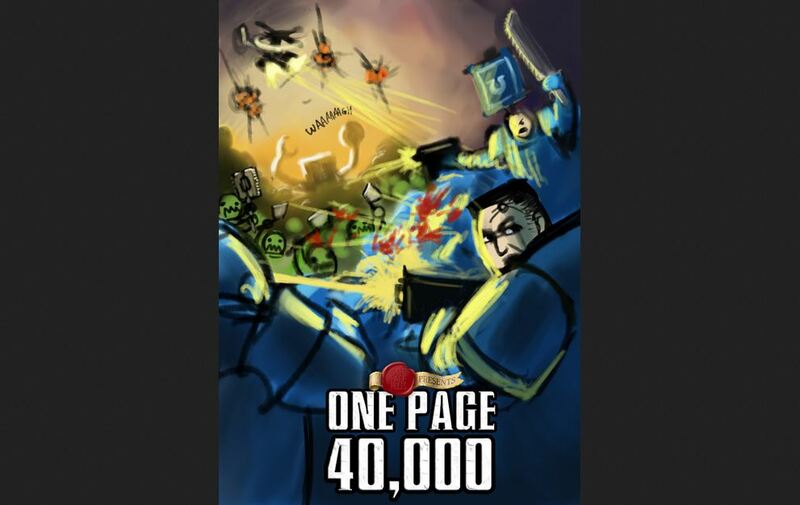 Let’s kick off 2015 with a little update, 1p40k v2.5! Whilst this release brings some changes to the rules, the important thing is that it slightly changes the layout and organization of the rules. A lot of stuff has been moved around or re-phrased in such a way as to ensure the maximum amount of content in the minimum amount of space, which is what one-page is all about! -The Armored rule is now an additional 4+ save instead of halving hits. -Fatigue has been removed and assaulting models now get +1 attack each. -Units now rout as a result of melee and only if they lost the majority of models. -Pinned units strike last instead of halving attacks and getting Q6+ in melee. -Vehicle mobility has increased, and their rules have been streamlined. -Weapons with “x” now ignore the Armored rule, however all wounds must be assigned to a single model to reflect their focused fire nature. -Overwatch has been removed from the game. -Psykers can now manifest powers and shoot as part of the same action. -Denying the Witch has been moved to the Advanced Rules section. -Common Psychic Powers have been removed. -Marine Tactics have been removed (might come back as a special supplement). That’s it for now, as you can see nothing major has changed but instead lots of little things have been tweaked to provide an improved experience. Enjoy!